Take a moment and think about how many hours you spend sitting on your couches, chairs, and other furniture at home. It is quite a lot of time, isn’t it? The fabrics and upholstery of your furniture act as air filters for a variety of air born pollutants and allergens. Over time they capture dust, dander, oil, hair and more. With as much time that you spend at home, you really owe it to yourself to keep your furniture clean. However, you may find yourself asking can a couch be professionally cleaned? Steam Master Carpet & Upholstery Cleaning, Inc is here to tell you that yes you can, and you should consider doing so for several reasons. Did you know that the dirtiest piece of furniture in your home is your couch? It may be tempting to think other areas in your home are dirtier, such as surfaces in your bathroom, but we clean them more often than we do the fabrics of our furniture. Along with allergens such as dust and dander getting trapped in the fabrics of furniture, spills can create a mess on your couches and chairs. Moisture and food particles left unattended create the perfect breeding ground for molds and bacteria. These nasty after effects can lead to aggravation within our sinuses and trigger allergies. Not to mention that spills also lead to unsightly stains on fabrics. Highly used areas of your couches and chairs will also show stains from the oils that transfer from our skin or pets. Another area that will accumulate these types of soiled areas is where your legs rest against your furniture. Especially when it is warmer outside, and we wear shorts and skirts more. We wash our clothing regularly but how often do we consider cleaning the fabrics of our furniture? Imagine taking out your favorite sweater or blanket directly from the dryer after giving either of them a wash. Gather them in your arms and inhale the fresh scent and feel the softness against your cheek. Now take a moment and imagine stretching out on your favorite sofa and burying your nose into the fabric and inhaling. I bet it doesn’t have the same freshness to it when you inhale deeply. Yet, the fabrics of your upholstery can have the same freshness and life in them again with regular cleanings. Steam Master Carpet & Upholstery Upstate, Inc can give new life to your couches and chairs. We can freshen the fabrics and underlying layers of foam to not only give them a visible facelift but remove all the allergens and give them a clean scent. Furniture fabrics are different than the fabrics of your clothing though. That is why we highly recommend having someone who is professionally trained treat them for you. It may appear easy to clean them yourself but to really get rid of stubborn stains and deep conditioning it is best to hire a professional. We specialize in cleaning fabrics and upholstery of all kinds and have varying types of tools and quality treatments that are needed to thoroughly take care of your furniture. You can relax knowing that we are knowledgeable in our field. No matter how careful you maybe it is inevitable that your couches and chairs are going to get soiled. We recommend that you have your furniture professionally cleaned at least once every 12 months or 6 months if you have children or pets. Although, if something happens in between cleanings we are always here to assist you. Furniture is not an inexpensive addition to your home, in fact, it is an investment that shows off your unique style while also being functional. Prolong the life of your furniture and keep it and your home smelling fresh with professional cleaning. And don’t forget we can also assist you with freshening your carpets as well. 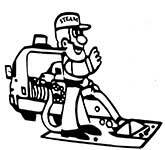 Contact us today and let us help you with all your steam cleaning needs. PrevPreviousWhat is the best method for cleaning carpets?